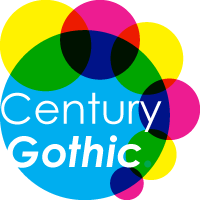 Century Gothic is a unique beautiful geometric sans-serif typeface. It was initially fashioned for Monotype Imaging in way back in the year 1991. It is also a digital typeface that was never converted into real foundry type. The basic inspiration comes from Sol Hess’s Twentieth Century fashioned between 1937 and 1947.